Posted on November 30, 2010 by Jill B. The buzz surrounding Apple’s new iPad has certainly grown louder with the prospect of some cool new features. Now, while rumors are only rumors, the latest online word has been given some more considerable weight due to its source. 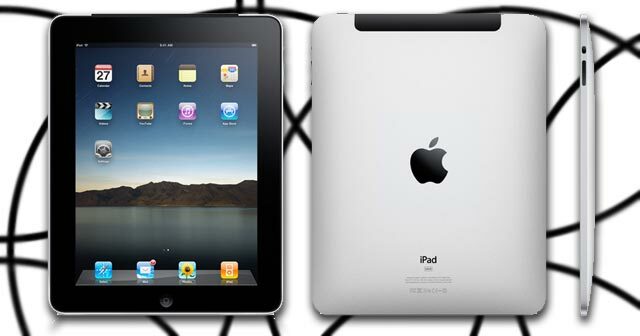 Digitimes is reporting that industry sources claim that the iPad 2 will get five new features and among them is a USB port. If the rumor is true, it would be the first Apple touchscreen device to feature USB. Other features of the device may include: video phone, lighter size, retina display technology and 3-axis gyroscopes for gaming. A USB port has the potential to open up countless possibilities for what you can do with an Apple device. By joining the club of USB peripherals, the iPad 2 could provide more storage options. It may be safe to say that even if Apple came out with just a Micro-USB port, a market of Micro-USB drives could follow. In this instance, you could buy a smaller capacity, less expensive iPad and attach a more cost efficient storage option like a USB flash drive. A USB iPad port could also provide more printing options, tethering devices as well as allow for iOS tinkering at the consumer’s discretion. On the flip side, it could just be limited to charging the device and restrict a user from adding storage by not recognizing other memory devices. Apple’s strong, stubborn proprietary ways have frustrated many users and would-be customers in the past. So why USB now on the iPad? Could it be that out of the generosity of their little Apple hearts they are opening their technological ecosystem to give consumers a feature that many covet? Or could it be something else? According to one article, it speculates that the USB feature would help Apple adhere to increasing pressure by governments around the world for manufacturers to reduce proprietary connections to cut back on the environmental impact of future electronic waste. Fact or fiction, a USB addition will give PC and Mac fans alike another reason to spar. What’s your take? Weigh in below. This entry was posted in Apple, Articles, Flash Drive, USB Flash Drives and tagged Apple, apple iPad2, iPad, iPad-2, Micro-USB drives, Micro-USB port, USB iPad port, USB Port with iPad 2. Bookmark the permalink.